Treating you and your pets like family. Carmichael Road Animal Clinic was opened in 1982 by Dr. Jim Benefield. The clinic has served the midtown area of Montgomery ever since. In 1993, the clinic grew with the addition of The Cat Clinic of Montgomery, the area's first exclusive cat facility. The doctors and staff welcome you to the practice and look forward to providing your first rate health care to your pets. Dr. Lewis Benefield has enjoyed practicing veterinary medicine in Montgomery for almost 20 years. A Montgomery native, he has continued to build the practice his father opened in 1982. Outside of work, Dr. Lewis enjoys all types of sports, especially those his three children are participating in! He also enjoys his equine practice, his cattle herd and the outdoors. Dr. Jim Benefield graduated from Auburn University's College of Veterinary Medicine in 1974. He came to Montgomery and opened Carmichael Road Animal Clinic in 1982. Dr. Jim and his wife, Lydia, have three children, all of whom have stayed in Montgomery. Outside of work, Dr. Jim enjoys playing golf and tennis. He also enjoys spending time on his family farm. Dr. Neil Westbrook, a native of the Pelham area, attended Auburn University's College of Veterinary Medicine and graduated in 1976. He has practiced in Montgomery for over 30 years. Dr. Westbrook and his wife, Melody, share their home with their sweet four-legged friend, Grace. Outside of work, Dr. Westbrook enjoys spending time in his workshop in Cecil, AL working on cars, building furniture and fixing just about anything! Dr. Lynlee Nichols is a native of Alexander City AL. 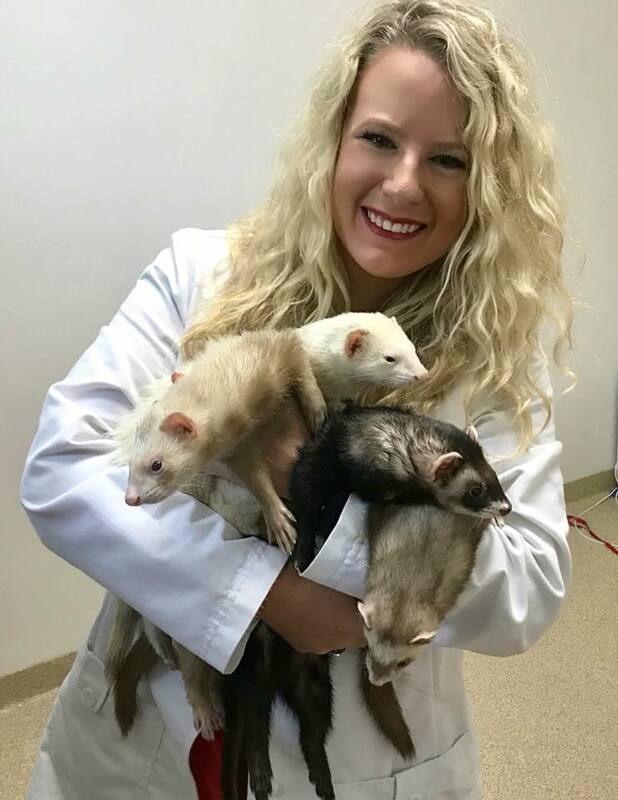 She joined us just after graduating from Auburn University’s College of Veterinary Medicine in May 2018. Dr. Nichols has extensive experience in animal behavior. She has obtained Fear Free Certification and strives to make your pet as calm and comfortable as possible during visits with us! Dr. Nichols and her husband, Cooper, share their home with their 3 four-legged babies, Charlee Paige Deets and Lucy Lou!